3. Innovated Philips UV Lamp Bulb; High UV transmittance - Electrical Safety Guarantee - O3 Odor Free. 4. 8000-9000 Hours Service Life – Saves Energy - Destroy Bacteria, Micro-Organism, Removes Sediment, Chlorine, Bad Tastes and Odor - Saves Minerals & Ions; Ca, Mg, Na…. 6. 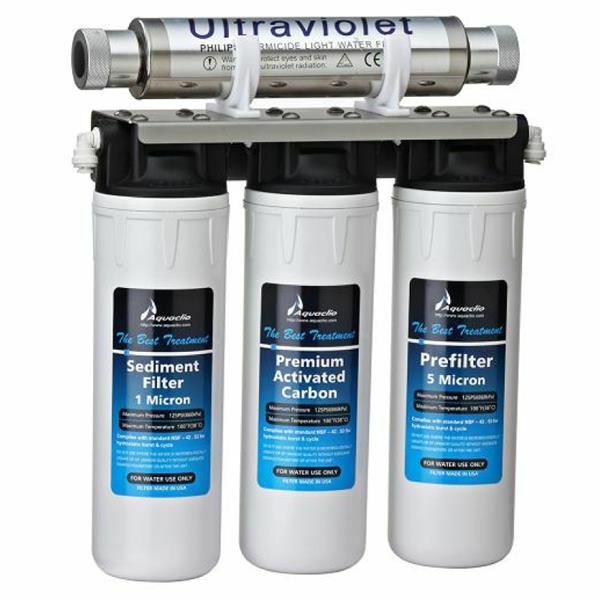 Aquaclio Quick-Twist Filter Design – Easy to Replace.